Les heures de la shiva sont : mardi après l’enterrement jusqu’a 22h, mercredi et jeudi de 14h à 22h. Chacharith aura lieu à la Congrégation Nahar Chalom : 222 croissant Harrow, Hampstead, Minha/Arvith auront lieu au domicile à 19h quotidiennement. Dû à la fête de Pessach, la shiva se terminera vendredi après-midi. Dear Vanessa and family. My sincerest condolences as you mourn the loss of your beloved. Wishing you strength during this sad time. My thoughts are with you. Peacefully, on Friday, Shabbat Hagadol, April 12, 2019. Beloved wife of Georges Wani. Loving and devoted mother and mother-in-law of Cyril and Tracy, Patrick and Vanessa, and Vanessa Wani. Cherished ‘Mémé’ of Pariss, Noah, Kayla, Mordechai-Joshua, Mikaela-Yaffa, Jordan-Adam, and Emma. Dear sister of Jeannette, Mordechai, Édmond, Armand, the late Moïse, the late Élie, and the late David. Dear sister-in-law of Jeannette and the late Albert Tordjman. Viviane will be sadly missed by her nephews, Gilbert, Éric and David Tordjman, by her family and all those whose lives she touched. The family would like to thank the doctors, nurses and staff at Maimonides Geriatric Centre for their exceptional care and compassion. 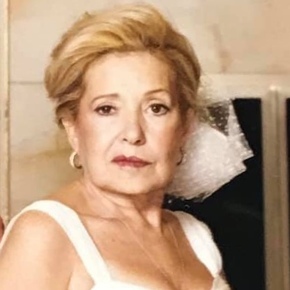 Funerals service from Paperman & Sons, 3888 Jean Talon St. W., on Tuesday, April 16 at 1:00 p.m. Burial at the Beit Abraham Family Estates Section, Kehal Israel Cemetery, D.D.O. Shiva to be announced.